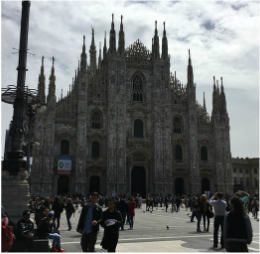 Sat, Apr 8- Breakfast, Drive to Torino, Running tour of Torino including lunch, Drive to farm for dinner. These are vacations for all skill levels from active retirees to elite runners. In 2016 we had everyone from leisure hikers to elites and they all raved about the experience. It is a great mix of running or hiking and getting to enjoy the sights, sounds and tastes of this UNESCO World Heritage Site. Imagine exploring all the wonderful towns, hillsides, nooks and local secrets of Cinque Terre lead by 14 time National Champion Connie Gardner and Jenn Shelton of Born To Run fame. They will take you on unforgettable runs through the Cinque Terre National Park, lead you through the unique towns of this area, and up and down the stairs and trails that mark this rugged landscape. In the downtime between runs they will use their vast experience to teach you about different nutrition techniques, pacing, training and race planning, recovery and much more. For this part of the trip, we have partnered with Cinque Terre Trekking, planners of the Sciacchetrail Ultramarathon, to allow you the chance to run in the Sciaccetrail 47km Ultra Run. Once you have enjoyed Cinque Terre, we will transport you to a giant farm house in the Piedmont area of Italy (right between Torino and Milan just a few miles from the river Poe). Here you will see Italian wine country. This part of the training camp is in the beautiful and challenging Italian countryside and for those who want to improve their running while seeing the 'real Italy'. You will eat, sleep, run, and learn with our elite coaches, Connie and Jenn, through the winding hills and vineyards surrounding our base camp. Most of the running during this section will be on roads. If you are ready for (really) big Italian meals, beautiful rural vistas, and lots of time with our coaches, then you will love this part! You will also get a chance for running tours of Torino and Milan. We will take care of everything from the time you arrive in Manarola until our farewell dinner in Milan. Transportation: Guests must get themselves to Manarola, Italy. 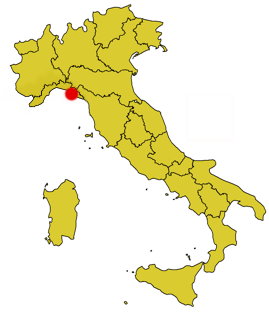 Timely, daily trains run from Milan and various other points in Italy to Manarola. Please consider spending a few days in Italy prior to your running camp, so that your camp will not be disrupted by any travel delays. If you wish to spend extra nights in Mararola, we can arrange for that at our discounted rate. Once you arrive in Manarola, we will take care of all your transportation in our vans, train, or boat. We will return you to the Milan at the completion of the camp. Lodging: Your lodging in Mararola will be first-class hotel type, regardless of whether you are traveling with your significant other or a friend. These accommodations have either been personally stayed in by our staff or verified in person by our staff. If your non-running guest cannot climb many stairs, please let us know before you make your reservation. Piedmont lodging is a very basic, bunk-room style. Each runner will have an entire 2-bed bunk (top for their gear, bottom for sleeping). There may be up to 6 runners, of the same gender, in each room. Showers and restrooms are shared. The home you will be staying in is over 200 years old and has an amazing history. Food: Manarola- Your morning will start off with a great breakfast which includes breads, pastries, fruits, eggs, and breakfast beverages with one of our coaches. Lunches will be enjoyed at the various towns of the area. You can expect several Italian options to choose from. Dinners in Manarola will not be provided (unless listed) and is at the expense of the guests. There are many wonderful restaurants in Mararola to choose from. If you have dietary restrictions or allergies, please keep in mind that food choices may be limited for some meals. All meals will include water; other drinks and/or alcohol and will be at the expense of the guest. Piedmont- Food options will be limited as many meals are family style. A hearty European breakfast will be served at the lodging and generally consists of meats, cheeses, breads, juice, coffee, tea, and fruit. Lunches will take place in various locations, depending on the schedule and will include traditional Italian fare. Daily dinner will be offered at the lodging, cooked by your amazing Italian host family who will have a lifetime of experience cooking for large families and guests. Water is included for guests with all meals, other drinks and/or alcohol at lunch and dinner will be the expense of the guest. Running: Sciacchetrail 47km trail race- This race has a serious elevation gain/loss of around 7,800ft and several sections of very technical trail. Although the camp is for all levels, the race is very difficult for this distance. Campers are responsible for qualifying for the race and for their own registration. The race will sell out quickly and we do not have the ability to add runners after it is sold out. ​Manarola- If you will be running, you should arrive at this camp ready to run several hours, including hills. If you are a hiker, you should be ready for some hilly, technical trails as well but they can be broken into small segments. Some technical trail experience is preferred, but you do not need to be an expert. Our coaches will show you the best techniques for the steep uphills and downhills this area offers. All runs are optional, as we will have other transportation options you need a break, but it may be difficult to stop mid-run due to the inaccessibility of some of the National Park trails. Most runs will be on dirt trails. Our small groups will provide you plenty of one-on-one time with your coaches. 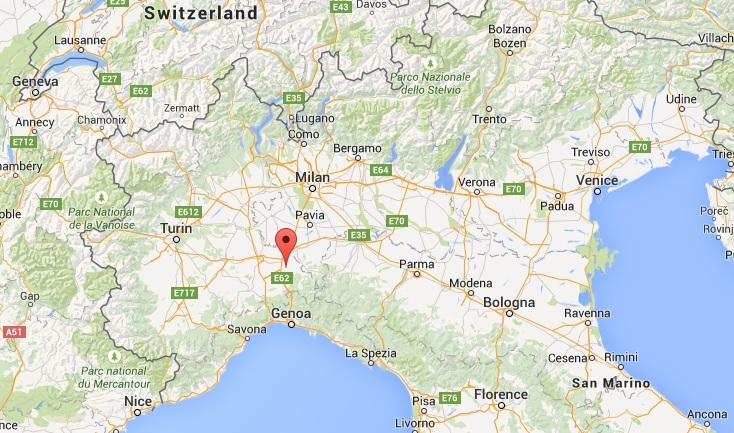 Piedmont- Guests should come prepared to run for several hours on moderately-hilly terrain. Most of the running will be on paved rural roads, some will be dirt roads; hills are very common in this area. Guests will be divided into groups by our coaches, based on fitness and comfort level. With the small group size, there will be plenty of one-on-one time with each coach. Welcome dinner- This will be a three-course group dinner at one of the top restaurants in Mararola. Pesto class- As you can see from our photos, we tested this activity in person for you and had an awesome time! Pesto originated in the Cinque Terre region and you will learn to make it by hand while enjoying some local wine, the way it has been done for hundreds of years....then eat it. Wine tasting- The hills of Cinque Terre are covered with grape vines that produce the regions great vintages of wine. You will learn about the region's wine and then have opportunities to sample the wines. Torino Run- Take a running tour of the former capital city of Italy and the home to the Winter Olympics. ​Castle Tour and Wine tasting- An amazing tour of a private cellar and history of the area's wine making. This will include a small sampling of both local white and red wines, along with some snacks. There will be the opportunity to purchase wine for consumption back at your lodging. Packing: Bring appropriate shoes for the terrain described in the running section and enough clothing for the entire trip. Most of the lodging options do not offer guest laundry and there is no public laundry in the town. Be sure to bring whatever you usually use to carry water on multi-hour runs (aprox 2 hours). Cancellation Policy: More than 2 months prior to the trip, we will refund of all paid money except 50% of the trip cost. More than 1 month prior to the trip- Refund will be $500 per person. No refunds less than 1 month prior to the trip. If you can find a replacement runner/s who can use your same lodging, your payment may be transferred toward their trip with International Running Company approval or will be refunded (less your $200 deposit) if it can be filled from the wait list. Disclaimer: If the trip is cancelled due to the fault of International Running Company or its contractors, we will refund all money. If the trip is cancelled due to natural disaster, war, embargo, or other circumstances outside the control of the International Running Company, we will make every attempt to pay partial or full refunds but no refunds are guaranteed. Coaches subject to change due to illness, injury or family emergencies.